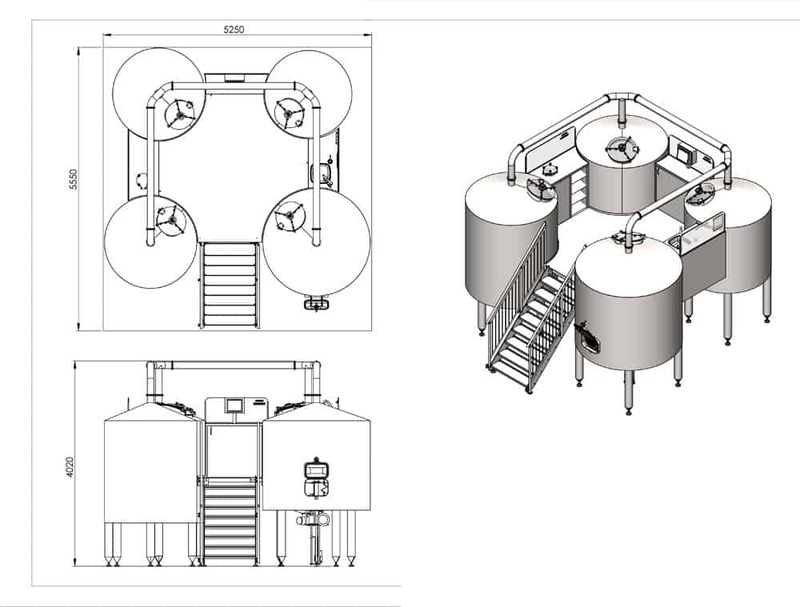 The wort production machine (brewhouse ) BREWORX QUADRANT 500MR (this model is a special version to production wort from malt, rice, hops and water) is an industrial compact food machine which includes all necessary equipment to production 550 liters of wort (it is an optimal volume for production approximately 500 liters of beer) in one boiling batch from malt (or malt extract or wort concentrate), rice, hops and drinking water. 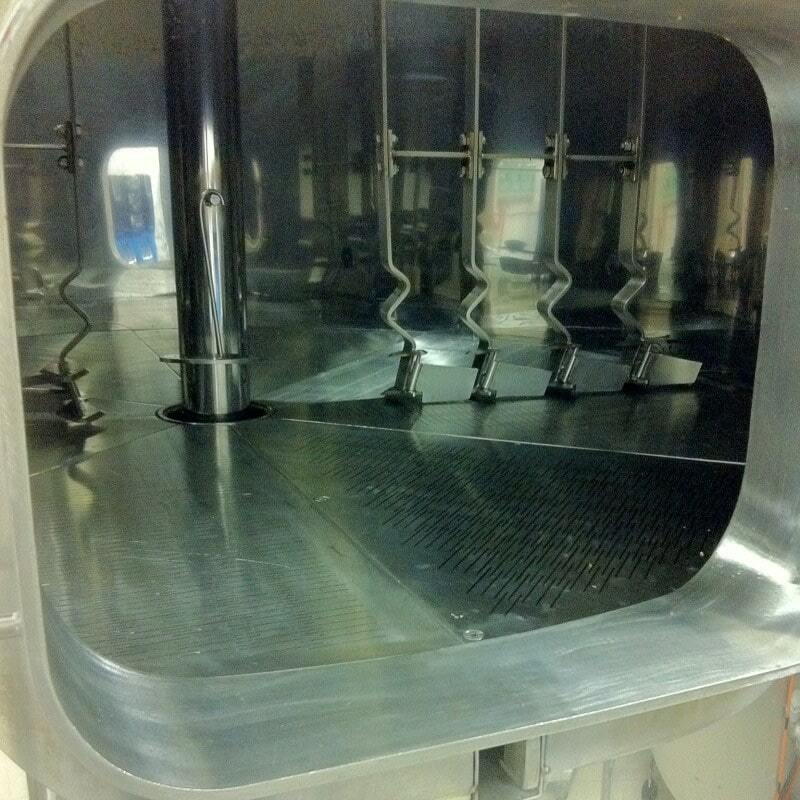 The BREWORX QUADRANT is a powerful machine equipped with four separated functional tanks. 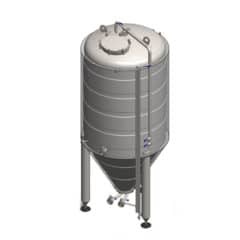 Some tanks have more functions : 1-st tank = malt mash tun (tank to mixing malt in water) + mash kettle (tank to boiling of malt mash) + wort kettle (tank to boiling of wort) , 2-nd tank = rice mash tun (tank to mixing rice in water) + mash kettle (tank to boiling of rice mash) wort kettle (tank to boiling of wort), 3-rd tank = lauter tun (tank to filtration of wort) + 4-th tank = whirlpool (tank to separation of hop from wort + tank to temporary storage of hot wort) . 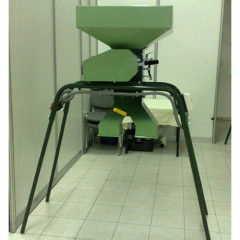 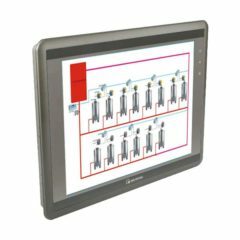 The operation platform, measuring and control system and supporting frame are also parts of the machine. 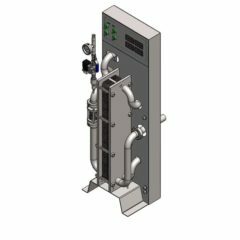 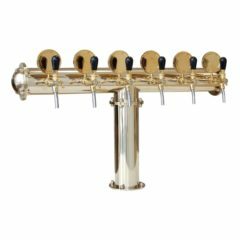 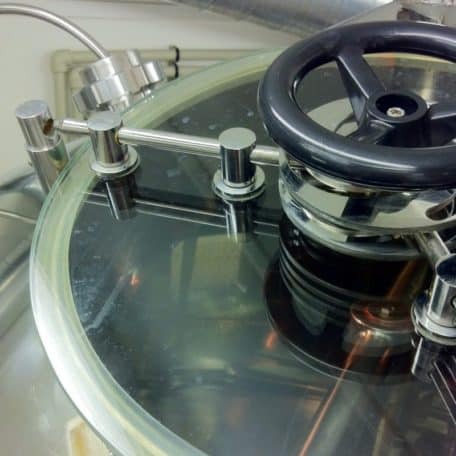 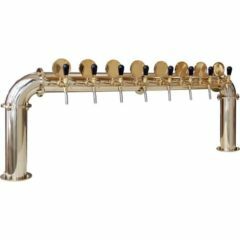 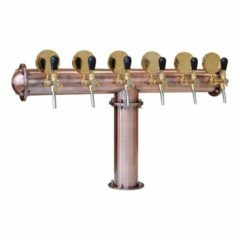 In comparation with the TRITANK wort brewing machine the QUADRANT machine includes the second wort boiling tank to speeding of the brewing cycle and allowing production of three up to four wort batches per day. This type of the wort brew machine is able to produce from one to three batches of wort per day using the decoction method, if malt is used for the brewing, or up to four batches of wort per day, if malt extract is used instead malt, or if the infusion brew method is used instead the decoction. 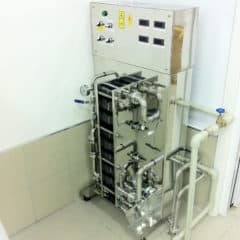 We produce this machine of stainless steel. 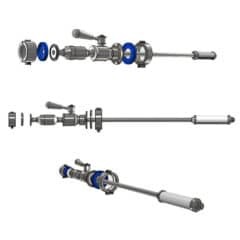 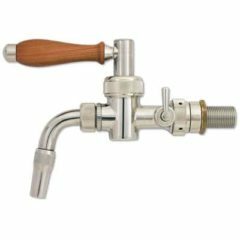 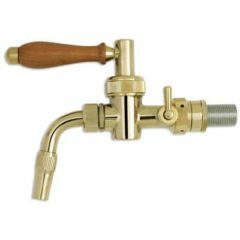 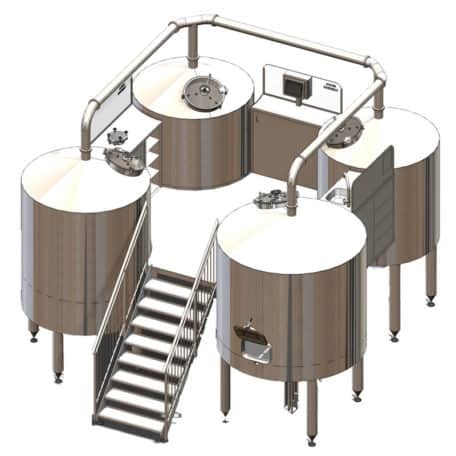 The design of the machine is maximally tailored to the requirements of the high efficiency of the wort production, while maintaining its good ergonomics of work. 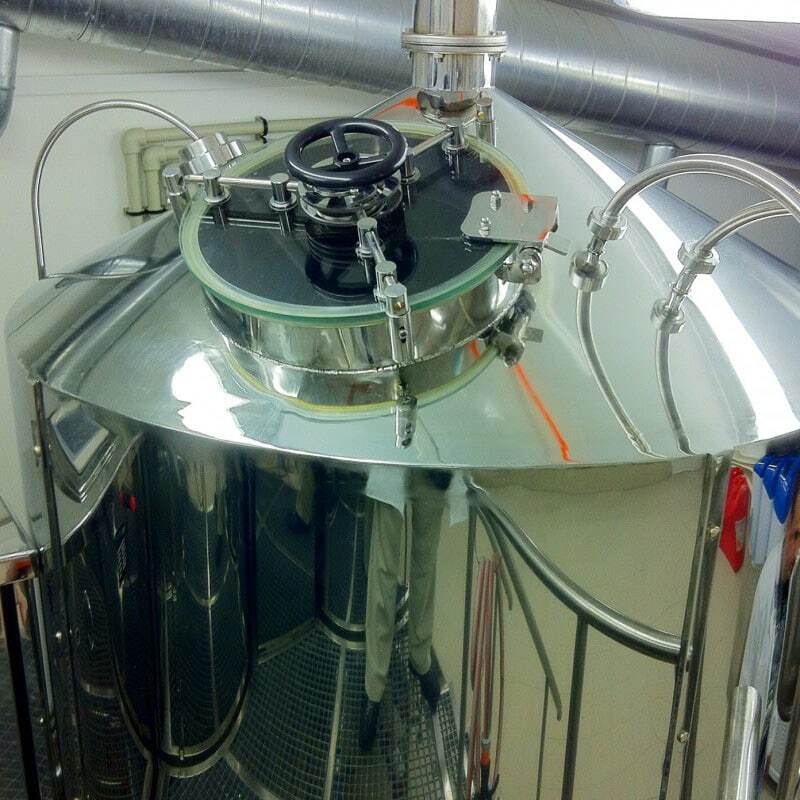 This wort production machine is the main part of the BREWORX QUADRANT 500MR medium-size industrial breweries. 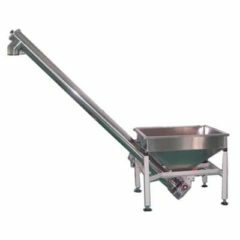 Primary function of this machine is the production of wort using either infusion (infusion) or decoction boiling method (decoction). 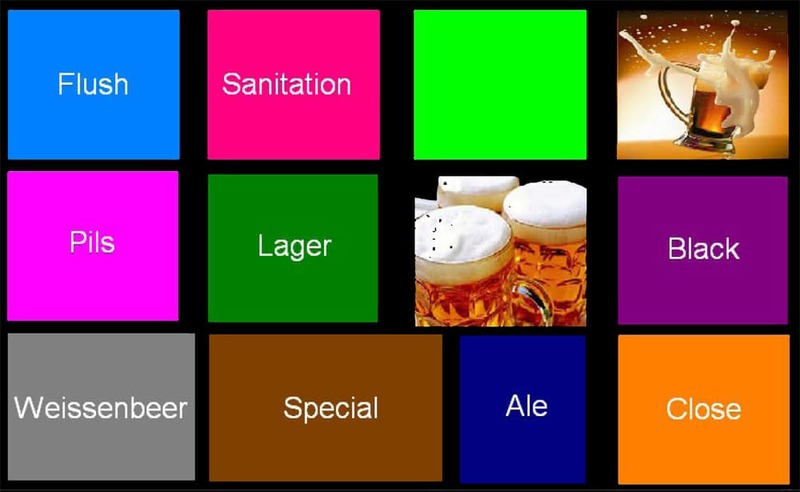 Wort is an intermediate necessary product in production of beer. 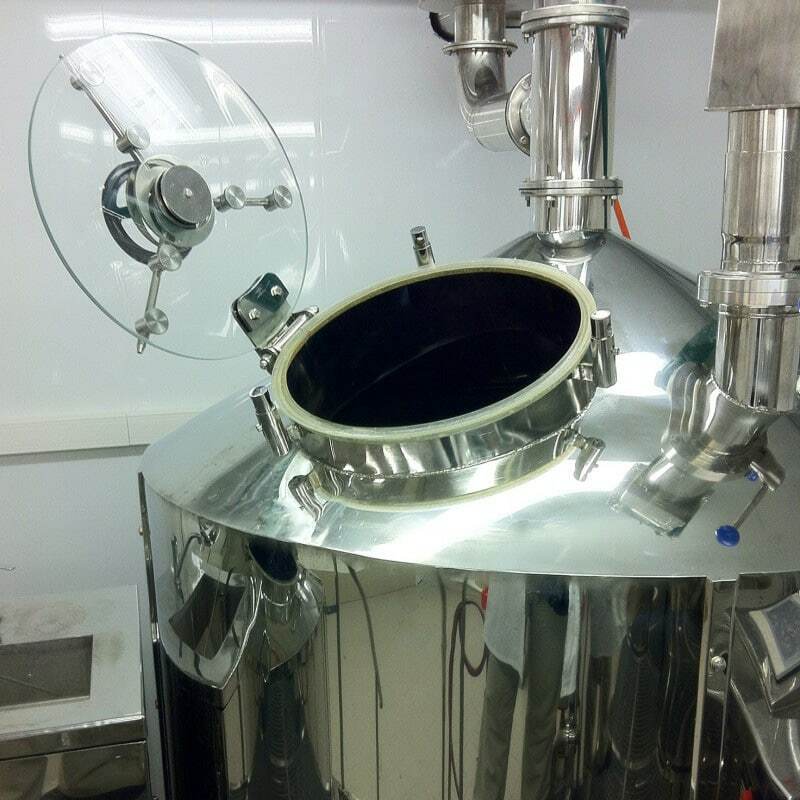 Beer then arises from wort after its fermentation and maturation in special pressure tanks – fermenters. 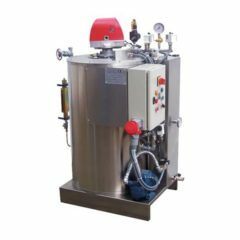 The compact wort production machine BREWORX QUADRANT 500RS is a compact industrial machine which includes all necessary equipment to produce 550 liters of wort in one batch. It is four-vessels brewhouse wherein containers are connected by common service platform. 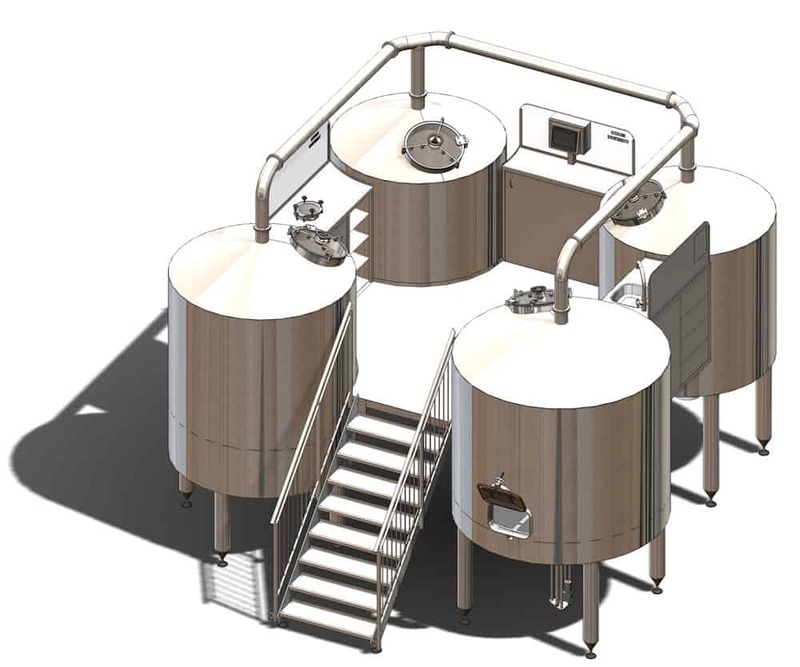 This we have achieved full functionality brewing while we retained the traditional design of the Czech type brewhouse which is ideal for producing of world-famous Czech type beer. 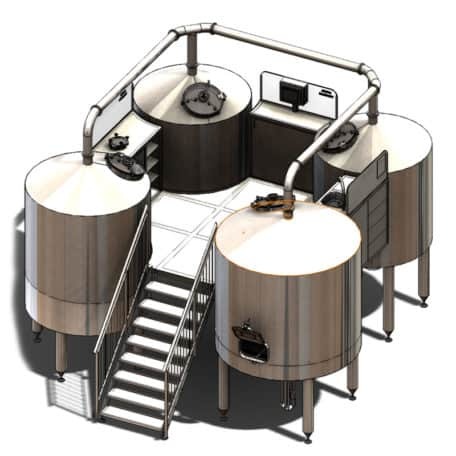 However, this brewhouse is fully capable for manufacturing all types of beer, which is produced anywhere in the world. SACS | Semi-automatic control – The semi-automatic control of the brewhouse with the support of PLC with most operations controlled from the central control panel with controls and sensing elements. 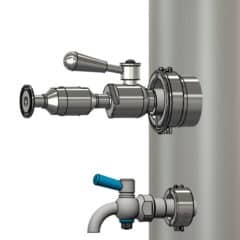 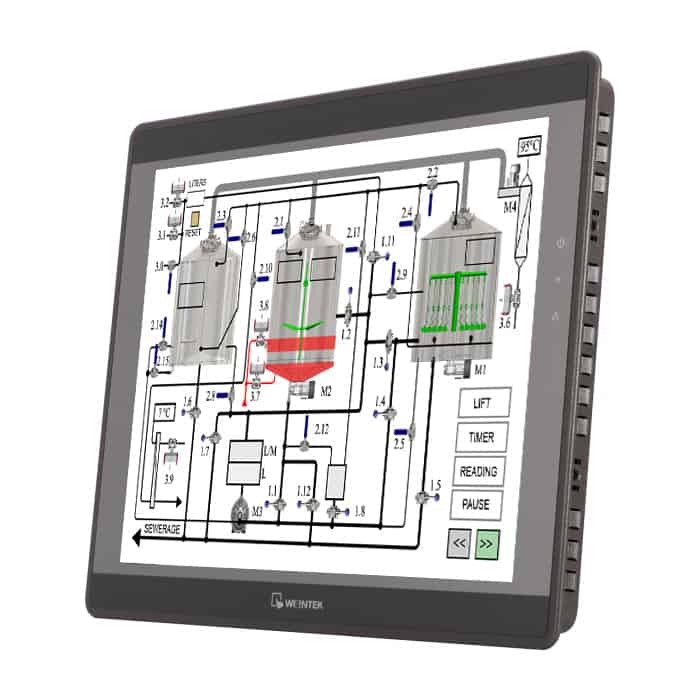 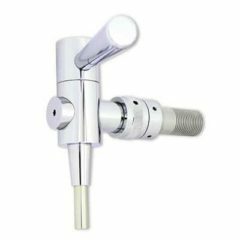 The control panel is designed as a touchscreen – centrally are controlled motors, heating and opening and closing several important valves on the media pipes. 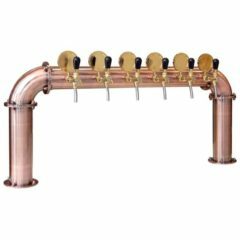 The most valves and flaps on the brewhouse pipe system is controlled manually. 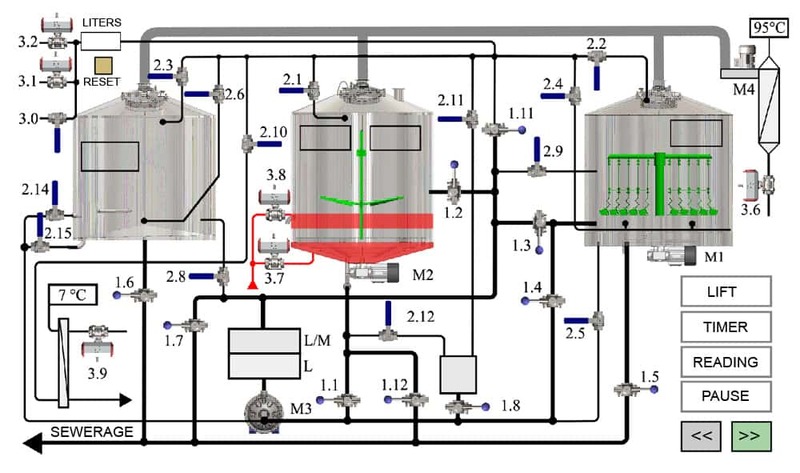 FACS | Automatic control – automatically controlled brewhouse supported by industrial computer which automatically controls the production of wort and requires little user´s interaction. 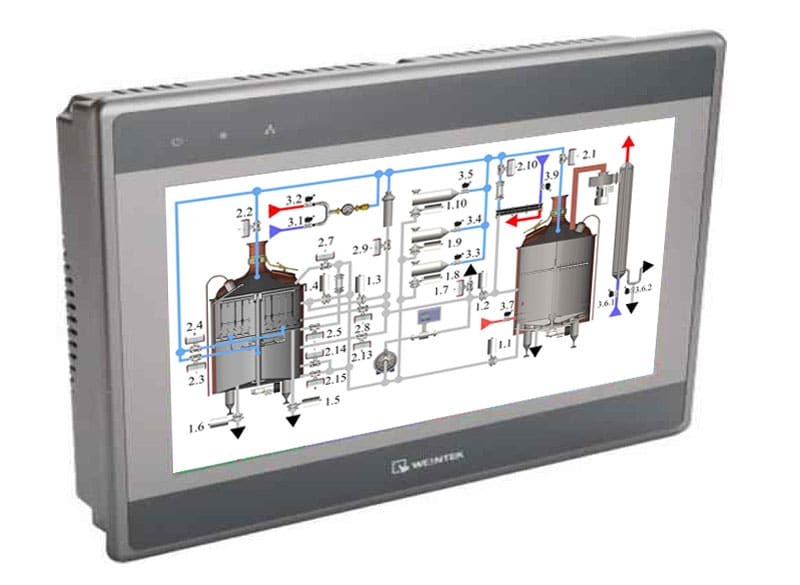 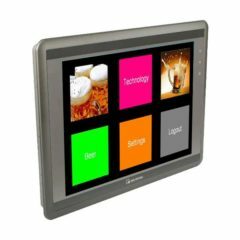 Features such as heating of the brewhouse, stirrer speed, pumps running, valves and control valves are computer controlled and adjusted to a central control panel with touchscreen. 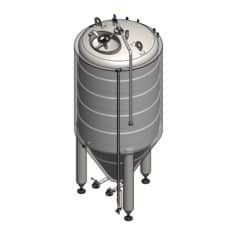 Vertical, stainless steel tank with a spherical or conical upper bottom. 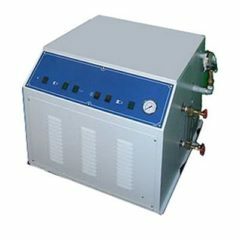 Steam heating is secured by coil, located inside the container.